C.S.E. Cooney lives and writes in the Easternmost Borough of Queens, whose borders are water. 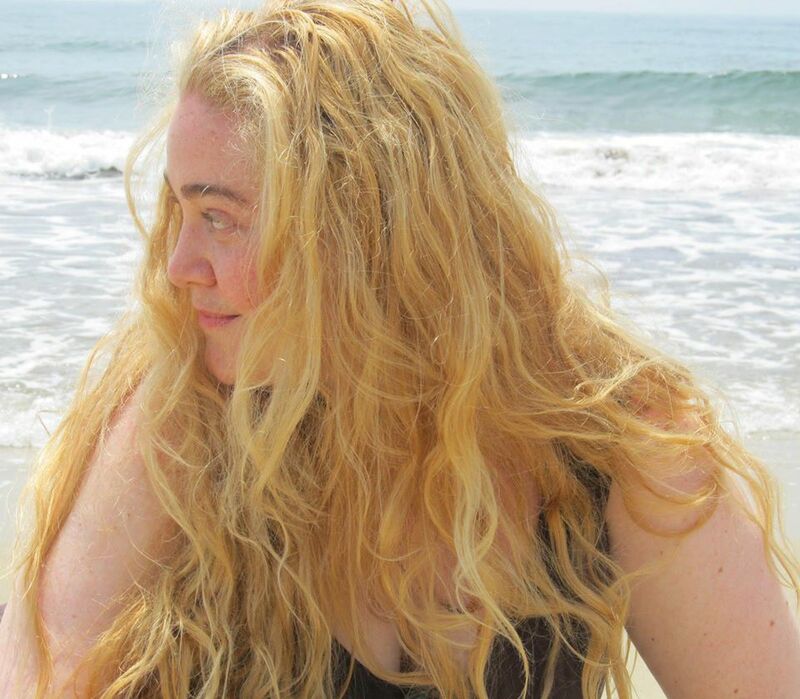 She is an audiobook narrator, the singer/songwriter Brimstone Rhine, and author of World Fantasy Award-winning Bone Swans: Stories (Mythic Delirium 2015). Her work includes the Dark Breakers series, Jack o’ the Hills, The Witch in the Almond Tree, and poetry collection How to Flirt in Faerieland and Other Wild Rhymes, which features Rhysling Award-winning “The Sea King’s Second Bride.” Her short fiction can be found in Ellen Datlow’s Mad Hatters and March Hares: All-New Stories from the World of Lewis Carroll’s Alice in Wonderland, Mike Allen’s Clockwork Phoenix Anthology (3 & 5), Rich Horton’s Year’s Best Science Fiction and Fantasy, Lightspeed Magazine, Strange Horizons, Apex, Uncanny Magazine Black Gate, Papaveria Press, GigaNotoSaurus, The Mammoth Book of Steampunk, and elsewhere. Hi there! The Bill Memorial Library is interested in having you do a storytelling program. (We met through Flock and I alerted the library director to your recent publication of Bone Swans.) Do you mind shooting me an email and we can talk particulars? Thank you so much, Karla! I went ahead and sent you an email. Trident Media Group (TMG) is a prominent literary agency located in New York City. TMG represents over 800 bestselling and emerging authors in a range of genres of fiction and nonfiction, many of whom have appeared on the New York Times Best Sellers Lists and have won major awards and prizes, including the Pulitzer Prize, the National Book Award, the National Book Critics Circle Award, the P.E.N. Faulkner Award, the P.E.N. Hemingway Award, The Booker Prize, and the L.A. Times Book Award, among others. TMG is one of the world’s leading, largest and most diversified literary agencies. For more than six consecutive years, TMG continues to rank number one for sales according to publishersmarketplace.com in North America. TMG is the only U.S. literary agency to be in the top ten in both UK fiction and UK non-fiction. I am looking for a way to get in contact with you about using a poem of yours in my upcoming feminist scifi publication. Would be thrilled if you could email me back so I can tell you about it. I just dropped you an email! Please let me know if you receive it. Congratulations for the Nebula Nomination! My name is Renne. I’m an editor of Science Fiction World Magazine(China). I want to introduce your story to Chinese readers by reprinting it on our magazine. Could you perhaps drop me an email so that we can talk about details? I would be honored to hear back from you. My name is Renne. I’m an editor of Science Fiction World Magazine(China). I want to introduce your story to Chinese readers by reprinting it on our magazine. Could you perhaps drop me an email so that we can talk about details? I would be honored to hear from you. Thank you so much for this opportunity; it was such a pleasure working with you. My name is Marcin Zwierzchowski, I’m and editor at “Nowa Fantastyka” – Polish magazine. I would like to publish “The Bone Swans…”. Thank you for your interest; I dropped you an email. This seems as good a place as any to drop you a fan letter. I am an IP attorney, but unlike many of the posters I’m not looking for anything from you–just wanted to express my appreciation for your work. There is so much dross in sci-fi and fantasy today that I approach any new author I haven’t heard of with more than a little trepidation. I am pleased to say, however, that the Bone Swans and the collection of stories that came with it were a breath of fresh air. And each so different! As you sped off in a new direction with each story, I found myself quickly sucked in. Too many sci-fi and fantasy writers milk their universes dry of any joy or freshness, but I found myself wanting to hear more about Dora, and Beatrice, and the Milkmaid, and your other characters, even though their stories were self-contained. Keep up the good work! I am so pleased that Bone Swans gave you some joy; I too sometimes have extended plans for the characters beyond the scope of the story. Even if they never get written, it pleases me to imagine their lives (or afterlives) spinning out and out, having adventures and meeting friends I haven’t even yet conceived of. Thank you so much for dropping me a line, and for reading! I hope you find more gold than dross in your quest for a good read. Just a message to let you know how much I enjoyed your short story ‘Braiding the Ghosts’ in BSF&F 2011. This is of course several years old at this point, but as the saying goes, “It’s new to me.” Nashville and Knoxville are both blessed with one of the best curated used book stores in the world (McKay’s) and I often find treasures in those aisles. To speak from a personal level, I am a disabled writer and ‘outsider’ musician, and I’m often well-behind where I’d like to be, artistically. So, perhaps to make up for my own slow creative output (I tell myself it is simply for ‘research’), I read a great deal. Your incredible story reminded me of some magical concoction of Peter Pan, Doris Burn’s ‘Summerfolk’, Neil Gaimon’s ‘Graveyard’ book, and my own memories of exploring my grandmother’s antebellum attic. Except of course that its magic is unique. Your story, I’m honest enough to admit, inspired a bit of good-natured jealousy and pangs for young years wasted not knowing what I was meant to do, as well as inspiring me with your work ethic. For years I have wondered if I could be writer of stories AND poems, a musician AND painter, et cetera –all and at once. I see I can be, as you are! Thanks for the wonderful experience. Thank you so much for your letter! I am sorry it took me so long to reply! I too am often very far behind where I want to be. I have a bit of background in voice training, but was never trained as what I’d consider a “legitimate musician.” I have very simple tunes in my head; if I have a strength, it’s in lyrics. I am frustrated by not being able to do all the things I want to do–not only well, or competently, but brilliantly! But I suppose that forces me into collaboration, which I think is a kind of magic in and of itself, though a different kind of hard work. I remember the day I came up with the idea of “Braiding the Ghosts.” I wanted it to be a short story, but like so many of my “short” stories, it grew long and longer. I submitted it many times, with many rejection slips. Finally Mike Allen accepted it, though with a great deal of fine edits. A great editor is worth his weight in saffron! I was so honored to fall under his aegis. I hope you continue to explore and research, and most of all–to create. Like Sondheim writes in “Sunday in the Park with George”: “Anything you do, let it come from you. Hi, Robert! Sorry it’s taken me so long to get back to you. If you want to review a copy of Bone Swans, you might apply to my publisher Mike Allen at Mythic Delirium (mythicdelirium.com) for an electronic copy, or wait until the Audio Book version comes out at the end of February through Tantor Media, which will be available both on CD and on Audible as a download. The “Ballads from the Distant Stars” project is not something I’m working on currently, but would appreciate book titles so I can add to my library when the time comes. I’m not much one for phone calls! Take care and thank you for your interest! HAIR TRIGGER would like to have permission to reprint your story “Glass Eyes” (from issue 29) in the 40th Anniversary issue of Hair Trigger 40. Hi there! Thank you again for the wonderful narration on my Stormy Day series. Can you drop me an email sometime about picking up those characters again and doing book #5?